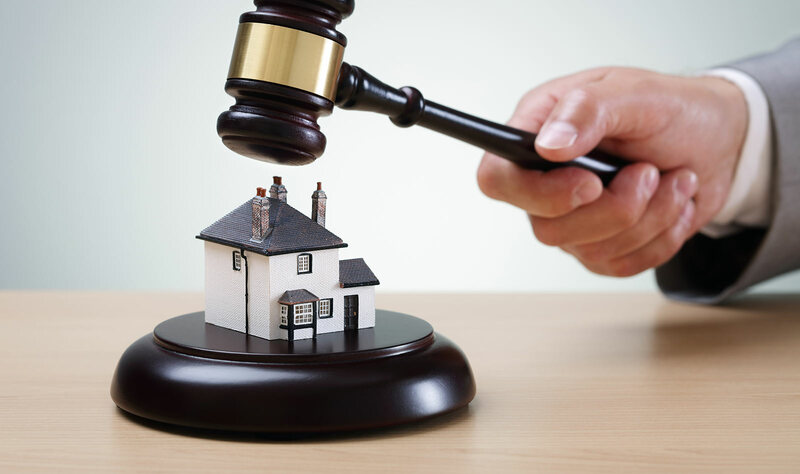 Selling and buying your home through an auction has been a growing trend. Sales for 2008 totaled 56.8 billion dollars, according to the National Auctioneer Association, and the trend is growing, although still a small percentage of total residential sales. 1. Auction without Reserve: Also called an Absolute Auction, is an auction with no minimum bid. The property will sell at the final price, whatever that price may be. This type of auction often results in the highest price, as it attracts more buyers who then bid up the price against each other. It is, however the most risk for the seller. 2. Minimum Bid Auction: The seller sets the minimum price with the auctioneer, and the minimum price is advertised to the prospective buyers. This results in fewer buyers attending, but there is less risk for the seller. 3. Reserve Auction: Also called a Confirmed Bid Auction, it is an auction where the minimum price is not made public but the prospective buyers make bids, and the final bid must be confirmed by the seller as being acceptable before the sale is final. This type of auction attracts the fewest buyers, because there is no guarantee of having purchased a property even after investing the time and effort to place the highest bid. • You know your home will sell on this date (unless you turn down the highest bid at a Reserve Auction. • Your property is only seen and bid upon by qualified, motivated buyers. • Inspect the property and make sure it’s what you want/need. • Find out if the bid is the purchase price, or if there are fees added to the final bid. • Be sure you want the property, that hefty deposit is often non-refundable. If the buyer backs out, the seller retains that deposit. The typical auction cost is about 8% of purchase price plus a promotion fee that is paid to the auctioneer at the start, by the seller. Despite this, and because the closing costs are covered by the buyer and there are no expensive contingencies, the result can be a net savings over a traditional sale for the sellers. Can I sell at a good price? Auction sale prices average 95% to 105% of the suggested Comparative Market Analysis (CMA) price. Approximately 50% of auction sales actually go over the suggested CMA price. This means there are bargains to be had for savvy buyers, but sellers can be at ease knowing that although their price needs to be realistic, most homes at auction bring a good price near or over the CMA. Should you consider an auction? Yes. If your home must sell by a particular date, or you’re in a hurry to sell, an auction can give you that fast sale. Yes. If you’re pre-approved and willing to spend some time thoroughly vetting auction listings that interest you, you can find the right home fast. No. If you are still looking for your own next dream home, or if you’re not sure if or when you’ll find it, you may want to sell your home in a traditional sale…giving yourself the gift of extra time, and the opportunity to change your mind. If as a buyer you make decisions over time and want to be able to negotiate contingencies, an auction is probably not for you.